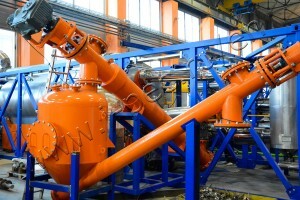 In the limits of the Contract for manufacturing and delivery of the thermal decomposition equipment series IPEC company shipped TDP-2-800 pyrolysis plant of continuous operation to the client in Krasnoyarsk region. 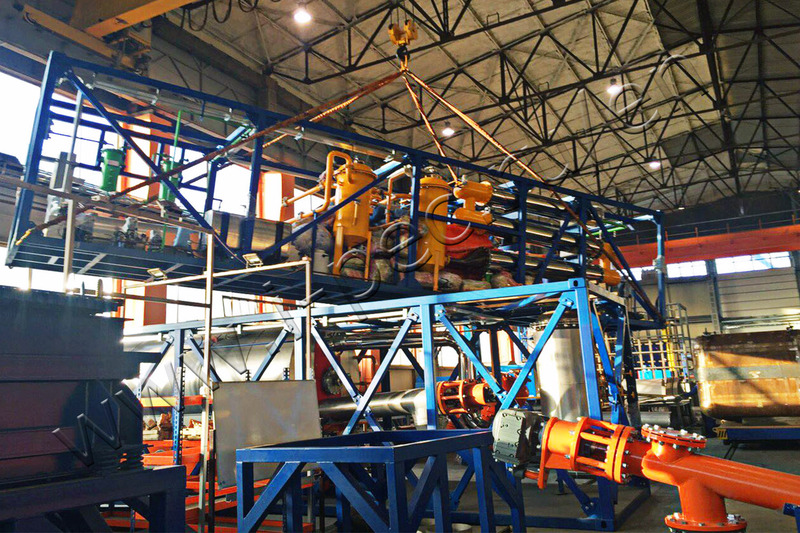 This equipment is designed for operation within large scale oil-gas production waste utilization facility. Waste from wells (drilling waste and other) will serve as a raw material for secondary fuel production. another product of the plant is a dried sub soil. The thermal decomposition plant is manufactured within the Safe Technologies Industrial Group at its own premises. 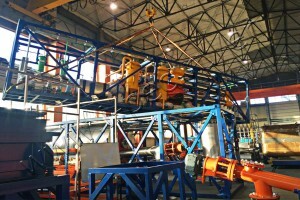 Another shipment of the pyrolysis equipment is being assembled there, the unique plant with the designed capacity of 2000 kg per hour among them. This TDP-2 modification involves conceptually new solutions.